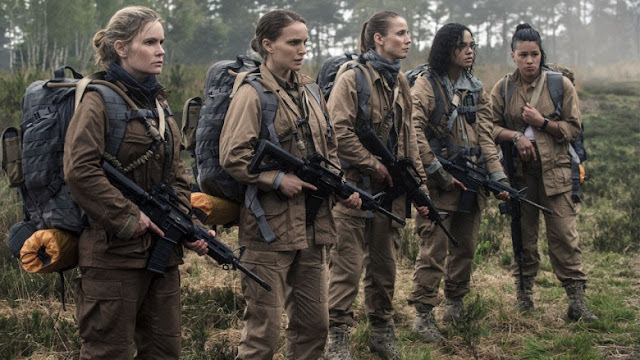 Natalie Portman plays a biologist and ex-army woman named Lena, who joins an expedition to explore a mysterious region which starts following an asteroid collusion. The team consists of the Jennifer Jason Leigh, as Dr. Ventriss, the leader of the expedition, Gina Rodriguez as Anya Thorensen, a paramedic, Tessa Thompson as Josie Radek, a physicist and Tuva Novotny as Cass Sheppard, an anthropologist. Just so long as there's no ghostbustin' going on! 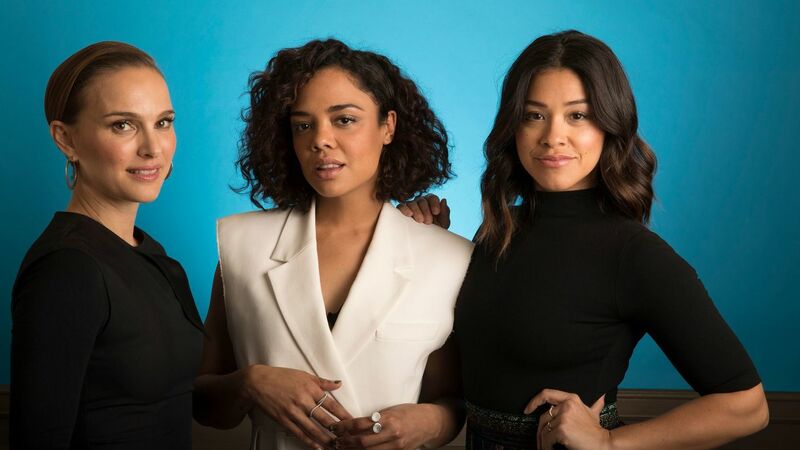 The Latina's the only one doesn't look like she needs a carload of French Fries and a dozen Boston Cream Pies with supper. Evi, slightly offtopic; have you seen "The Greatest Showman"? I thought it much better than "La La Land", so I wondered your thoughts. Its always important to show off your femininity by firing automatic weapons and then show off how masculine you are by taking off your clothes. Wait......maybe its the other way around. Maybe they just have gender confusion.